Norma Zimmer was Lawrence Welk's "Champagne Lady" for more than two decades. She replaced Alice Lon in 1959. The soprano was born after her violinist father had an accident in a Seattle shipyard, ending his musical career and sending him back to Idaho to work in the mines in 1923. The injury crushed her father's spirit and left him bitter and drinking heavily. Eventually, the family moved back to Washington and settled in Tacoma, where they survived the Great Depression. As her family suffered through hunger and malnutrition, both her mother and father became alcoholics. On the advice of a talent agent, she left home at age 18 for Los Angeles, California and got hired by NBC for $24 per show. 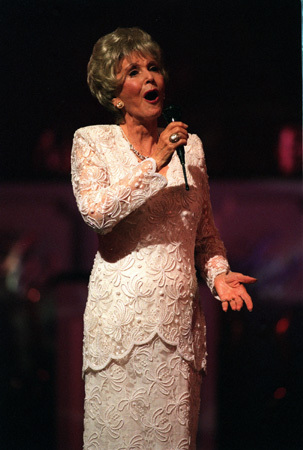 Zimmer sang with a succession of top vocal groups including the Norman LuBoff Choir, Walter Schumann, Alfred Newman, the Pete King Chorale, the Ken Darby Singers, among them -- and she appeared on most of the popular television variety shows during the 1950s. After Alice Lon left the Show in 1959, Lawrence Welk launched a nationwide search for a replacement using the Show as a live audition. After passing on contender Jane O'Brien, Welk selected Zimmer who had worked as a studio singer his 1956 Thanksgiving album. 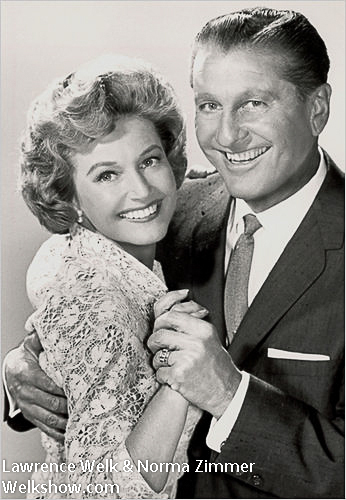 In 1962, Zimmer told Welk that she wanted to retire to raise her children. Welk asked her to stay until he could find a replacement. Unable to find a suitable replacement, Welk kept asking Zimmer to come back each week for the next 20 years. As the show's Champagne Lady, Zimmer sang one solo, one duet (often with Jimmy Roberts) and then danced with Welk. After the Welk Show ended in 1982, Zimmer retired (for real) with her husband, Randy, in Park City, Utah where she remained until her death in on May 10, 2011. She was 87.